WPI’s summer academic programs encourage students to explore their interests and try something new. Focused on the science, technology, engineering, and math (STEM) disciplines, K-12 students can make new discoveries! These preeminent programs highlight areas such as robotics, physics, video game design, music, computer science, the humanities and arts, and women’s leadership. No matter a student’s age or experience level, WPI’s summer academic programs has something to offer. 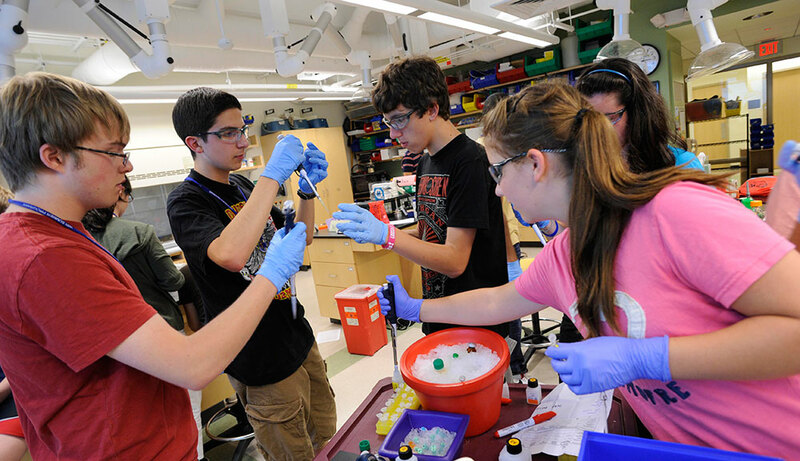 Depending on students’ interests and desired schedule for summer months, WPI offers academic programs during the day as well as overnight programs for older students. All programs are designed to engage students in exciting STEM applications while developing leadership and collaboration skills. Explore our offerings in the day programs or residential programs.